This week is the Humane Society International's annual #BeCrueltyFree global awareness week which highlights the issue of cosmetics animal testing. I am delighted to be taking part in their #BlogForBunnies project, which sees cruelty-free bloggers and vloggers addressing the issue of animal testing and promoting cruelty-free brands. This post is a little long, but I hope you can find the time to read it as animal testing is an issue I care deeply about. It is all too easy to just ignore the issue and pretend that animal testing doesn't really happen. I think this can be especially true as a beauty blogger as there is sometimes a feeling that to become well-known you have to have the latest products from the biggest brands, without thinking about the ethics behind them. I don't think this has to be the case though; after all, blogging is about expressing your own personality and more often than not it pays to be a little different from the rest! I will start by explaining some facts about animal testing, which will hopefully make you realise that it is real and it does go on, and it needs to stop. #BeCrueltyFree is the largest global campaign for an end to cosmetics cruelty, active in Australia, Brazil, Canada, China, the EU, India, Japan, Korea, New Zealand, Russia, Taiwan and the United States. There have been some major breakthroughs for animal testing in the cosmetics industry recently - there is now a full testing and sales ban in the European Union as well as Norway, Israel, India and Sao Paulo. Draft legislation is also being considered in Australia, Brazil, New Zealand, Taiwan and the USA. Another big breakthrough was the progress made in China recently. China legally requires animal testing on cosmetics sold there, but the first relaxation of this requirement was welcomed last year and now animal testing is no longer required for ordinary cosmetics manufactured in China - companies can choose to use non-animal tests and existing safety data instead. Many Chinese companies don't know how to use non-animal tests though, so HSI is helping to train them. This is major progress, but there is still a long way to go since animal testing is still required for specialist cosmetics, and the change only applies to cosmetics made in China. This means that all foreign cosmetics companies exporting products to China are still legally required to pay for product samples to be available for animal testing there. This is why HSI does not consider companies selling in China to be cruelty-free. Despite this progress however, animal testing for cosmetics still remains legal in around 80% of countries worldwide, with around 100,000 animals suffering and dying each year in the name of human vanity. Common cosmetics animal tests include dripping chemicals into animals' eyes and onto their skin and observing for signs of reddening, swelling, cracking and bleeding; and oral toxicity tests where animals are force fed chemicals via a tube or syringe directly into their stomachs to check for signs of poisoning (seizures, tremors, internal bleeding, coma and death). Many of these animal tests were first developed in the 30s and 40s when there was little understanding of how chemicals react in the body. Since then our understanding of toxicity has greatly improved and it is now known that animals can respond very differently to humans when subjected to the same chemicals, therefore animal testing for cosmetics is unreliable and should not be assumed to be safe. Despite the tests being flawed, they continue to be carried out largely because that's the way it has always been done. Cosmetics safety regulators tend to be very conservative in their approach and can delay the approval of a product if the manufacturer provides safety data based on unfamiliar non-animal tested methods. The HSI works with companies and regulators to increase their understanding and acceptance of these methods. Some companies insist on developing and using new ingredients that don't have existing safety data, which means that animal testing has to take place (another reason I prefer natural ingredients). Many of the test requirements can be carried out by using non-animal test methods, but some test areas still require animal testing because non-animal methods haven't been developed yet due to the fact that they haven't been seen as a priority. Cruelty-free cosmetics companies avoid this animal testing by refusing to use new ingredients until a full set of non-animal methods becomes available. There are more than 600 cruelty-free cosmetics companies who manufacture safe and effective products by using thousands of existing cosmetic ingredients for which safety data already exists, plus using non-animal test methods where they are available. There really is no excuse for animal testing, and together we can make it a thing of the past. The first thing you can do is sign the #BeCrueltyFree Pledge to support the ban. The second thing you can do is to only buy cosmetics and toiletries from cruelty-free companies. 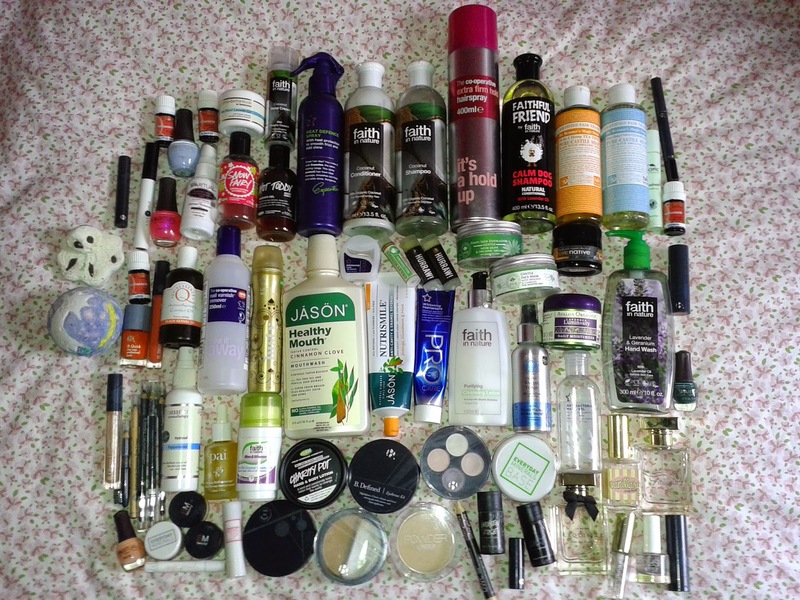 A great way to start is to gradually replace your existing products with cruelty-free alternatives when they run out. I am going to show you just how easy it is to be cruelty-free by sharing all of the products that I am currently using, including makeup, skincare, haircare, body care, dental products and fragrance. All of the products I use are vegan and most are natural products or at least free from SLS, parabens and other nasties as I personally prefer to avoid these ingredients where I can. Whilst I have my favourite products that I buy time and time again, I do love trying out new products as well. I honestly never struggle to find great cruelty-free products; in fact, I'm spoiled for choice! The majority of the products I use are certified under Cruelty Free International's Leaping Bunny standard which guarantees that a product and its ingredients are cruelty-free by requiring companies to pledge that they will not conduct or commission animal tests for any of their finished products, ingredients or formulations after a fixed cut off date, or purchase new ingredients that have been animal tested after that date. They must also pledge not to sell in countries such as China for as long as animal testing is required there. I also sometimes buy from Lush, who aren't certified under the Leaping Bunny standard but have their own rigorous animal testing policy and are a global corporate partner of the #BeCrueltyFree campaign. Occasionally I will buy from smaller cruelty-free businesses who may not have the funds to have their products certified, or I sometimes make my own products. To check if a company is cruelty-free, I recommend checking the Go Cruelty Free website which lists all the companies worldwide who meet the Leaping Bunny standard. Fellow cruelty-free beauty bloggers Tashina of Logical Harmony and Jen of My Beauty Bunny also have fantastic resources on their blogs. The cleanser I am currently using is Faith in Nature's Purifying Cleansing Lotion which melts away my makeup and leaves my skin feeling soft and fresh. I often just use coconut oil to cleanse as it is amazing. My toner, exfoliator and face mask are by PHB Ethical Beauty and are all excellent products and great for sensitive skin. My current moisturiser is the Avalon Organics Lavender Luminosity Daily Moisturiser, which I got from my local health food shop but is available online. It is a lovely light yet hydrating cream. At night I use Pai's Rosehip BioRegenerate Oil to rejuvenate my skin overnight. I have also added some anti-ageing essential oils to it for an extra boost! I use Tropic Skincare's Eye Refresh Roll-On to hydrate my eye area, and for my lips I absolutely love Hurraw! and Crazy Rumors lip balms. They both come in loads of yummy flavours and I always have several on the go at once! My absolute favourite foundation has to be Everyday Minerals Semi-Matte Base. It is the best mineral foundation that I have tried and has a lovely finish and buildable coverage. I also have a lovely blusher, colour correcting concealer and a tinted lip balm from Everyday Minerals. I don't often use powder but when I do I will use one by Everyday Minerals or at the moment I have a Marks and Spencer one, which isn't a natural product but is really affordable and does the job well. 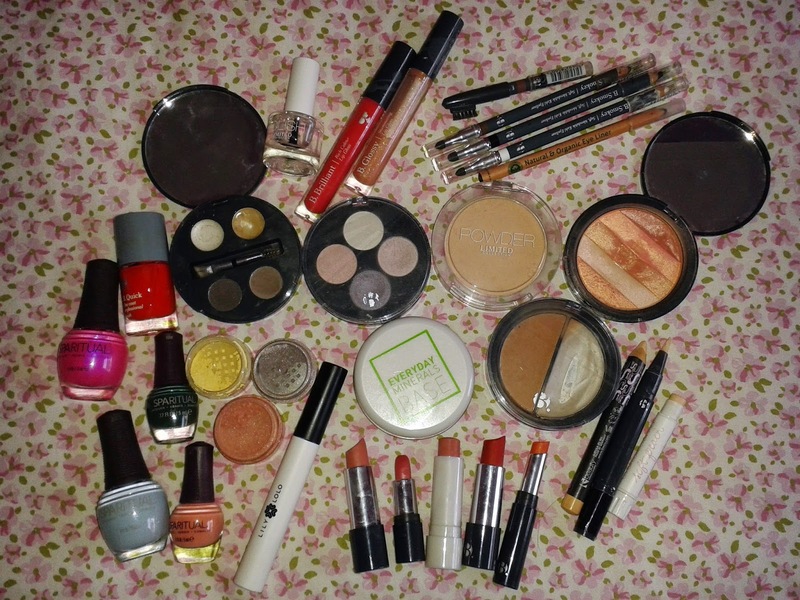 Most of my makeup is by Superdrug's B. range which I really love. It is great to have an affordable, cruelty-free, vegan makeup range so readily available on the high street. Whilst the B. range isn't completely natural, it is at least paraben free. I have a concealer, eye shadow palette, three eye liners, an eyebrow pencil, an eyebrow palette, several lipsticks/lipglosses, a contouring kit and shimmer/bronzer palettes from the B. range, and they are all fantastic products. I have another concealer which is by Beauty Without Cruelty and is a nice, thick pencil which is great for hiding under eye shadows and blemishes. I have an eyeliner and a lipstick from PHB Ethical Beauty, both of which I love. 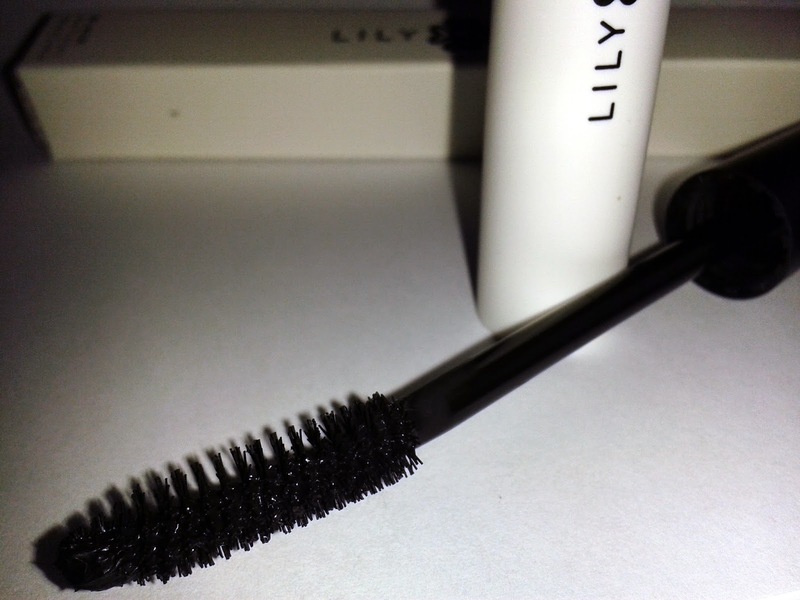 I have some really nice eye shadows from Beautiful Movements Cosmetics and my current mascara is Lily Lolo's Natural Mascara which I highly recommend (see my full review here). 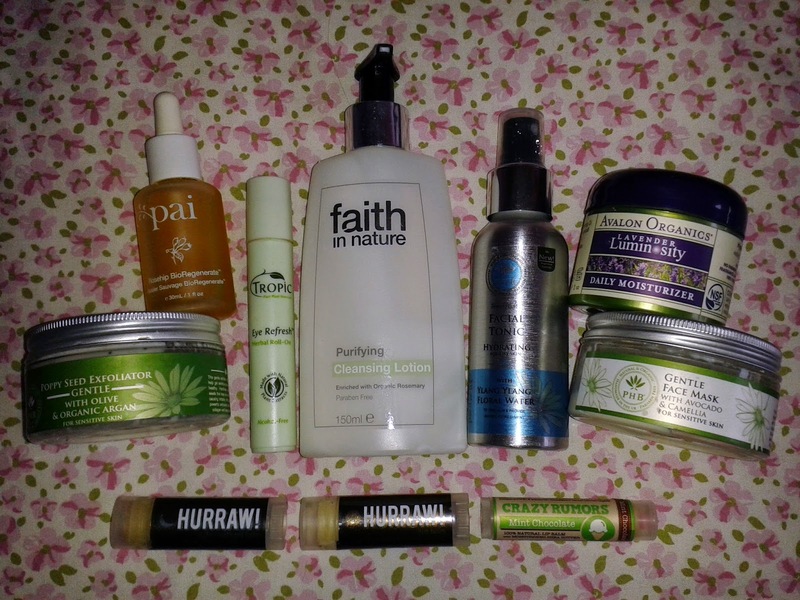 I also love PHB Ethical Beauty (review here) and Beauty Without Cruelty's (review here) mascaras. I have quite a large nail polish collection and most of my colours are from SpaRitual. Their polishes come in beautiful shades and finishes and are easily my favourites. I also have a couple of nail polishes by B. and Marks and Spencer. At the moment I am using Faith in Nature's coconut shampoo and conditioner. I have also just tried their Pineapple & Lime shampoo and conditioner and am looking forward to trying another variety once I have used up the coconut ones! I love these products as they are natural, affordable and really effective. I don't use many other products on my hair, but I do have a heat defence spray by Superdrug, which admittedly I don't use as much as I should. It isn't natural but I bought it before I decided to switch to natural products. Sometimes I use hairspray and, again, while not a natural product, I really like Superdrug or the Co-op's own hairsprays. 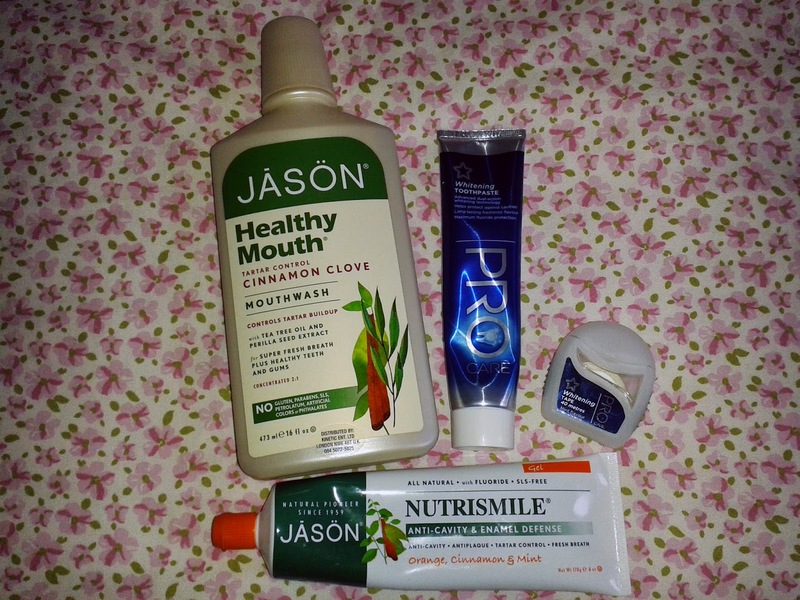 My favourite natural toothpastes and mouthwashes are by Jason. They do a range of different products and I like that each product comes in the option of fluoride or fluoride-free. I have tried a few different natural dental products, and I have found Jason's range to be the most effective. Sometimes if I've run out of toothpaste or mouthwash I will pop into Superdrug and pick up one of their products, which aren't natural but are really good. I also use Superdrug's own whitening tape to floss, which has a nice minty flavour and doesn't contain beeswax as some flosses do. Dr. Bronner's Pure Castile Soaps are one of my must-have products. They come in several different varieties and can be used for loads of different purposes. I like to use the unscented baby soap to wash my body as it doesn't irritate my sometimes-sensitive skin (and delicate lady parts!). I am also using up a couple of Christmas shower gels from Lush which aren't natural but I really like the scents and I think they are fun. 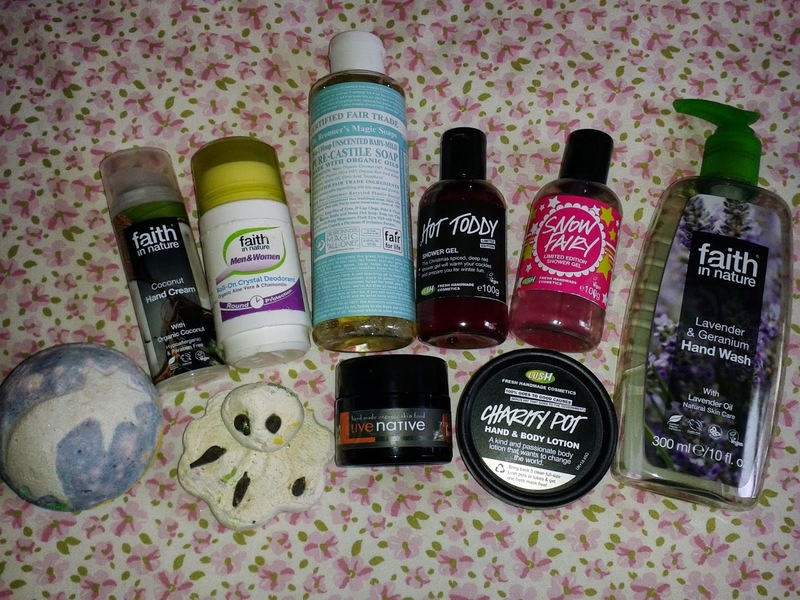 I also have a body lotion and few bath products from Lush on the go, but I will often just use some essential oils in my bath. To exfoliate my body I usually make a scrub using coconut oil and brown sugar or sea salt plus essential oils which is heavenly! 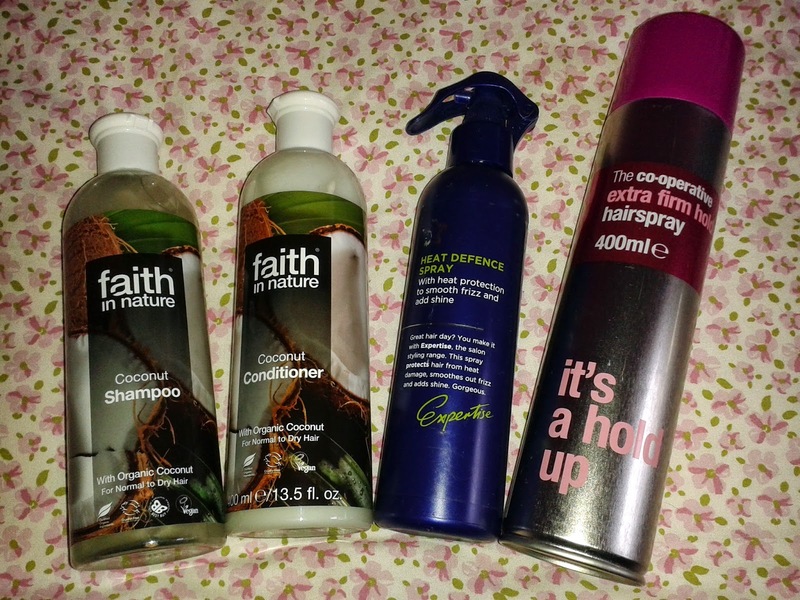 My hand wash, hand cream and deodorant are all by Faith in Nature. I find the deodorant really effective and I love that I can pick up refills from my local health food shop. I use a foot balm by Live Native Skincare which is a lovely, non-greasy moisturiser (I also use this on my reflexology clients). Although not pictured, I also prefer natural suncreams, and I have found Aubrey Organics and Jason products to be the best. 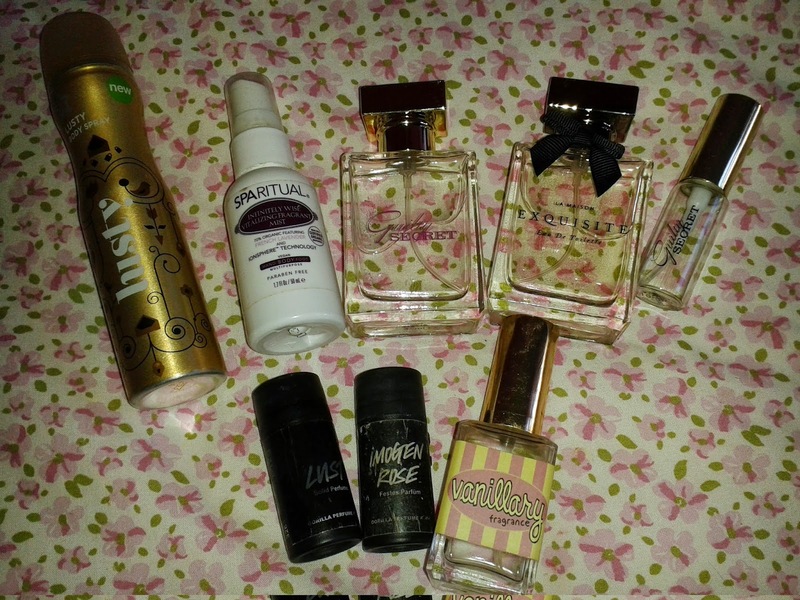 I love Superdrug's own perfumes as they are really affordable and smell gorgeous but are sadly only available around Christmas so I stock up then (see my full review and a chance to win a perfume here). I also adore Gorilla Perfumes from Lush. They can be quite pricey but I think they are worth it as they are beautiful scents made with essential oils. I have the teensiest amount of Vanillary left which I am sad about as it is one of my favourite perfumes. I also have the Lust and Imogen Rose solid perfumes which are both gorgeous. For body sprays I tend to pick up some from Superdrug, which are nice but set off my boyfriend's allergies due to the chemicals so I am starting to switch to natural body sprays. I love SpaRitual's fragrant mists which you can spritz on your body, your clothes, your bedding and the room etc. I usually get my nail polish remover from the Co-op or Superdrug. I also always have Superdrug's antibacterial hand gel in my bag to sanitise on the go! 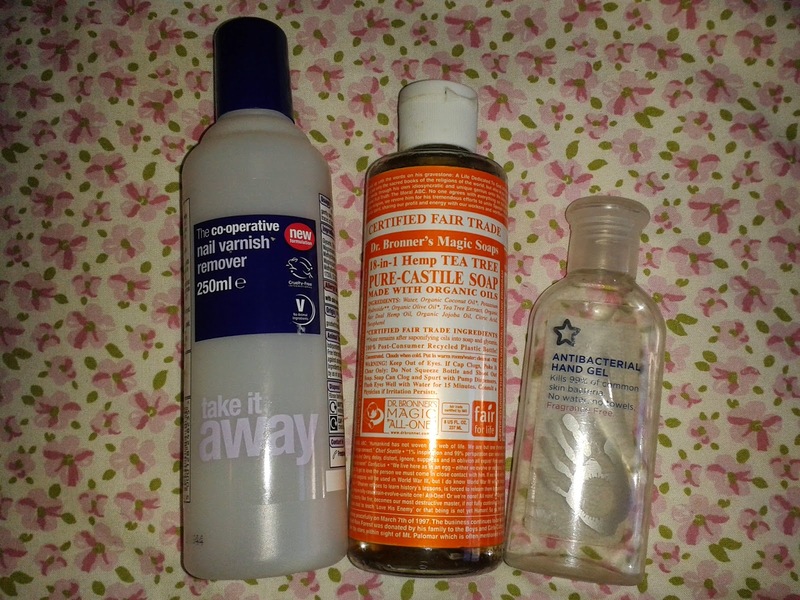 I use Dr. Bronner's Tea Tree Castile Soap to wash my makeup brushes as tea tree has excellent antibacterial properties. Being an aromatherapist, essential oils are a big part of my life and I couldn't live without them! 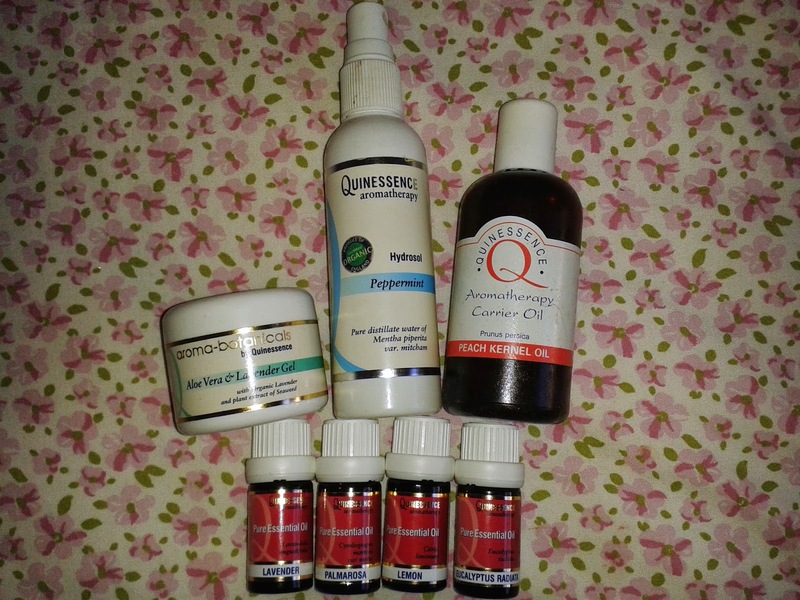 I use Quinessence essential oils for both personal and professional use. I use them for everything including skincare, first aid, health complaints and for relaxation. I also use their carrier oils for skincare and mixing blends. Quinessence's Aloe Vera & Lavender Gel is fantastic for soothing skin irritations such as burns and sores. I love to spritz their hydrosols on my skin, the peppermint one is great to help refresh and cool you down in the summer. 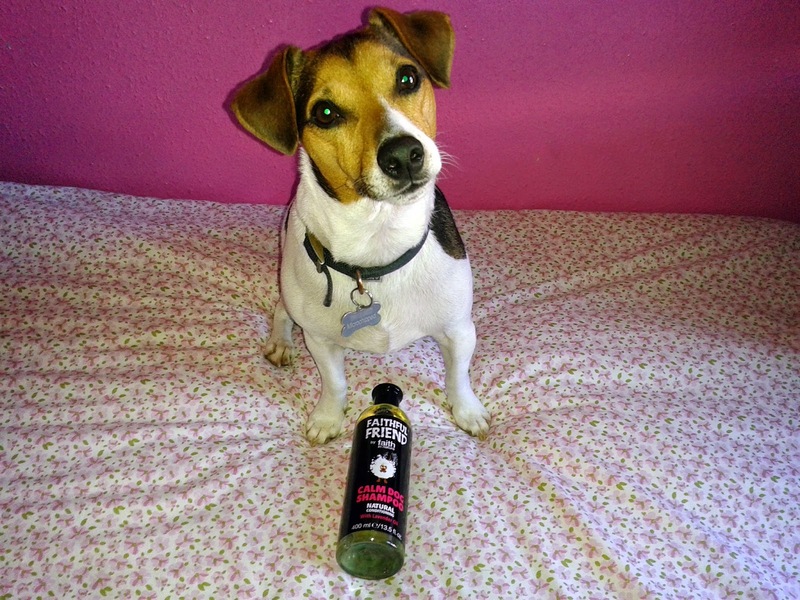 It is also important to me that any products I use on my dog Jack are also cruelty-free and natural. I normally use Dr. Bronner's Tea Tree or Lavender castile soap (see above) which washes muddy doggies up nicely and leaves them smelling clean and fresh. Tea tree and lavender also help to prevent fleas so these are excellent products to use on your dog (just remember that some dogs can be allergic to these essential oils so always do a patch test before using new products, and make sure you rinse them off thoroughly). I have also been using Faith in Nature's new dog shampoo which is a brilliant product. Dogs, cats and monkeys are not used to test cosmetics but they are used in medical experiments. The main animals used for cosmetics testing are rabbits, rats, guinea pigs, mice and hamsters, but all animals suffer the same. I hope that by reading my post you've become more aware of animal testing and learned just how easy it is to be cruelty-free. If you would like me to do any full reviews for any of the products mentioned then let me know. I would also love to hear from you if you have any questions about going cruelty-free, I'd be more than happy to offer my advice. 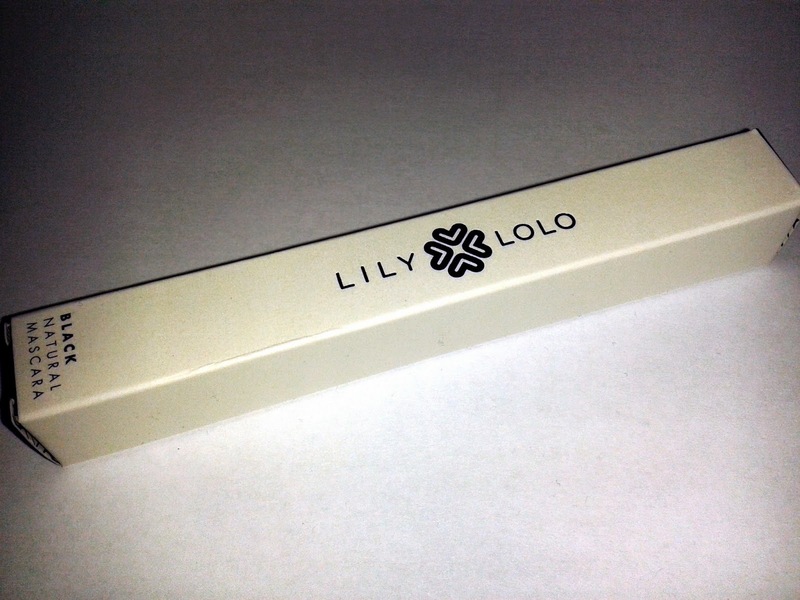 There aren't many vegan, Cruelty Free International certified mascaras on the market so I was really excited when Lily Lolo added a vegan mascara to their range last year. Even better, their mascara is natural, so vegan brownie points all round! I snapped up one of their mascaras soon after it launched, and I have been repurchasing it ever since as I love it so much. 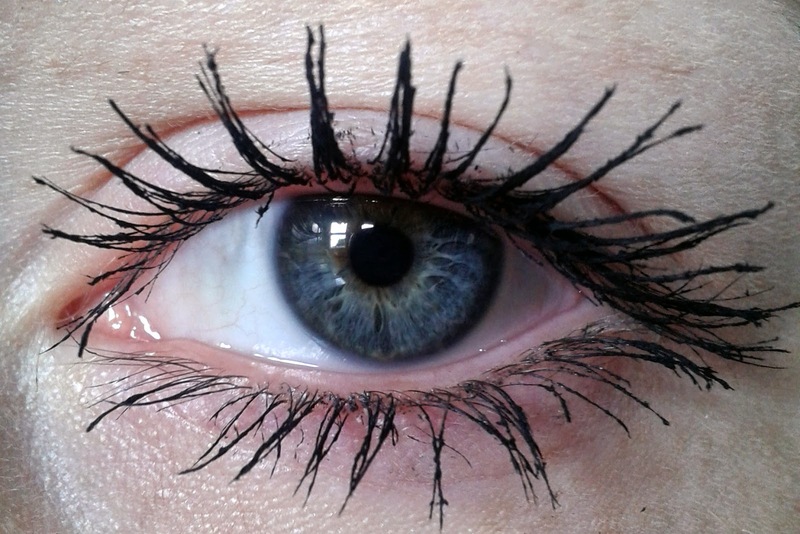 The mascara costs £10.99 and comes in a rich, matte black shade. It is free from parabens, fragrance, silicon and alcohol and comes in sleek packaging and a simple yet chic tube. 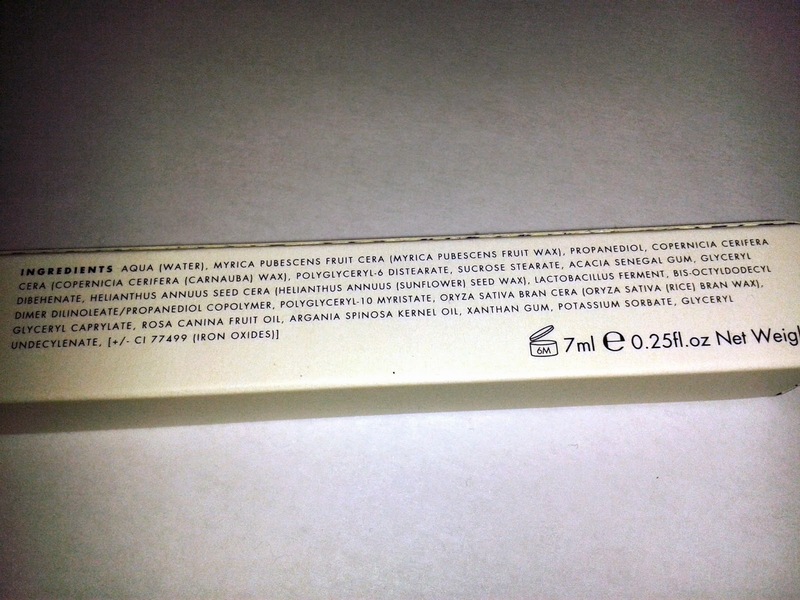 The wand is quite thick and is slightly angled for precise application. I usually curl my lashes before applying any mascara as I think it makes such a difference, but I think this mascara is really good at darkening, thickening, lengthening and curling my lashes on its own. 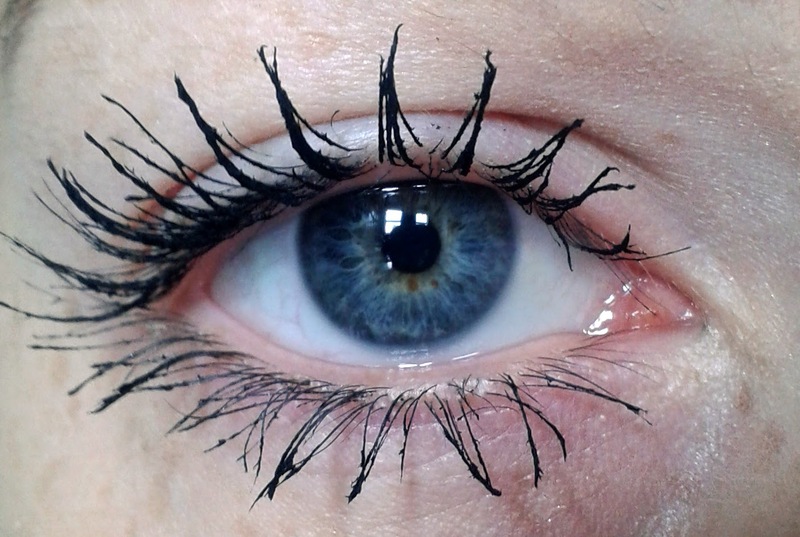 I love the effect it produces - the bigger the lashes the better! 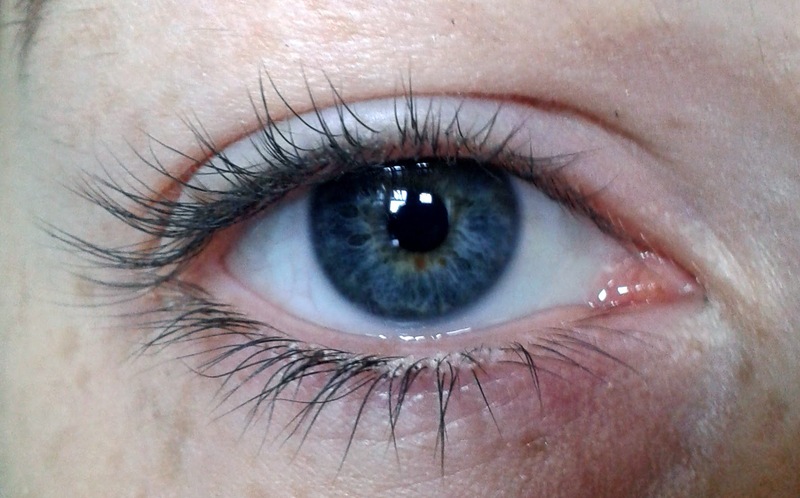 I have received many compliments when wearing this mascara and have been recommending it to everyone. This mascara is really easy to remove (I usually use a cleansing lotion or coconut oil and a face cloth) but it isn't waterproof. I find it stays on well all day and doesn't smudge. The only negative thing I would say about this mascara is that I have found it has a tendency to dry up quickly and clog up around the top of the tube, which can sometimes cause my lashes to look a little clumpy. This is easily combated though by regularly rinsing the wand under warm running water, cleaning the top of the tube and combing your lashes through after application. 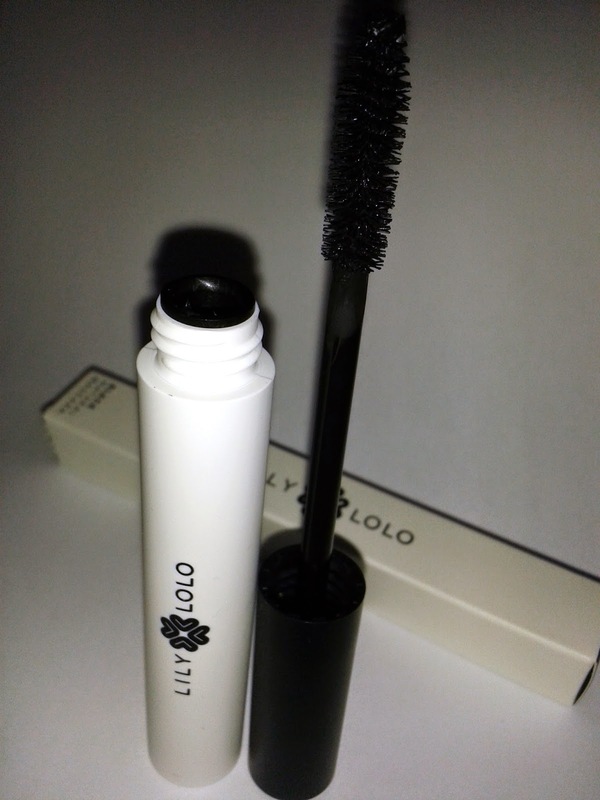 If you are looking for a natural, cruelty-free, vegan mascara then I highly recommend this one. Let me know if you've tried it and if you love it as much as I do! Finding perfume that is vegan and approved by Cruelty Free International can be tricky. Enter Superdrug's own range of perfumes, which tick both boxes yet also smell divine. The only downside is they are only available at Christmas time. Superdrug have brought out their own range of perfumes every Christmas for the last few years. There are usually one or two fragrances that come out every year but normally the range changes each time. 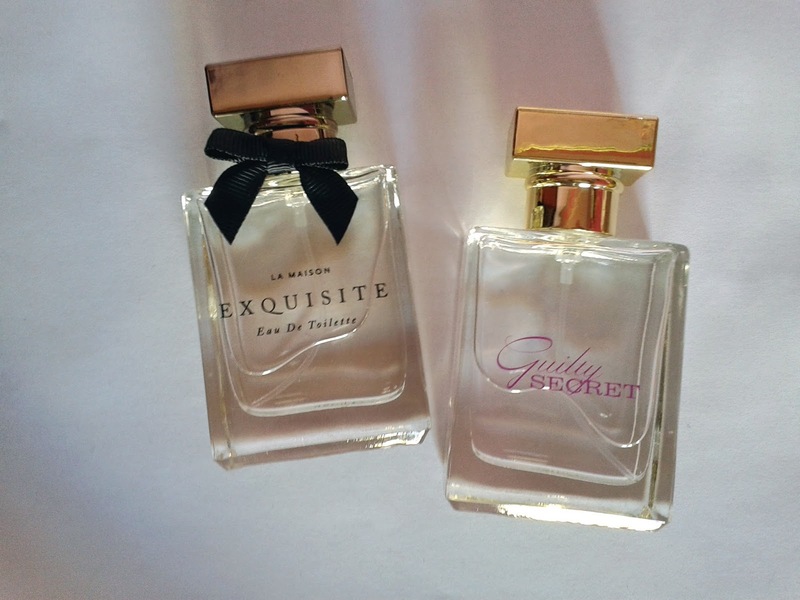 Last year I bought two different perfumes: Guilty Secret, which I had tried when it was available the year before, and Exquisite, which was a new fragrance. They also brought out a men's fragrance called Bullion Inc which I bought for my boyfriend. It smells incredible and seems much more expensive than it actually was. Both the perfumes come in simple but elegant bottles. I love the little bow on the Exquisite bottle. All the perfumes in Superdrug's own range are extremely affordable, around the £6-£8 mark. They usually do smaller travel-sized versions which I think are about £3, and gift sets containing shower gel, body lotion and a full-size perfume for about £10-£15. Just before Christmas, I looked online and the perfumes had been reduced to half price! I took advantage and stocked up seeing as they are only available to buy once a year. 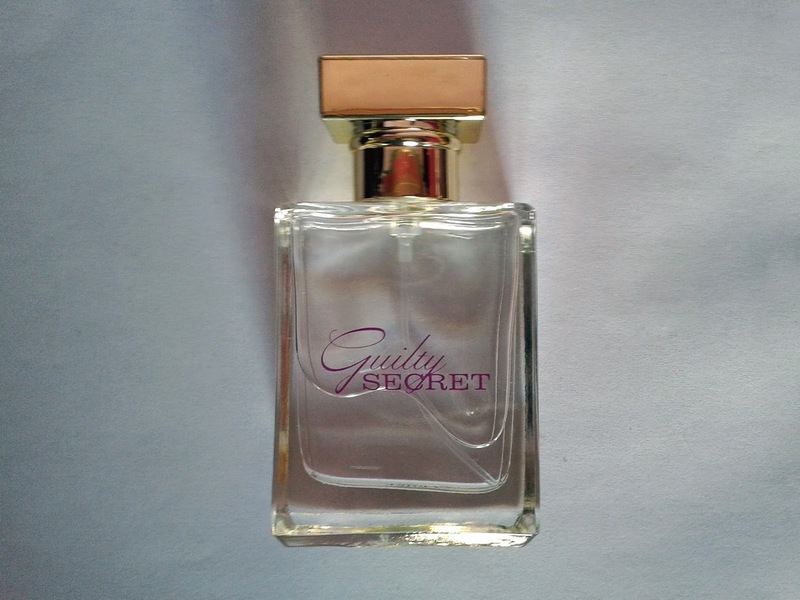 I have decided to give away one of the perfumes as I thought it would be nice for one of my followers to try the fragrance for themselves :) Guilty Secret is described as 'The Guilty Secret of intoxicating fragrance is yours to explore with this vibrant and seductive scent. Sparkling top notes of citrus and pear veil a floral heart with opulent accents of orange blossom, musk and sweet vanilla'. I really like this perfume, it is fresh and fruity and perfect for everyday wear. The scent is quite long-lasting but as it is quite light it may need a top-up or two throughout the day. 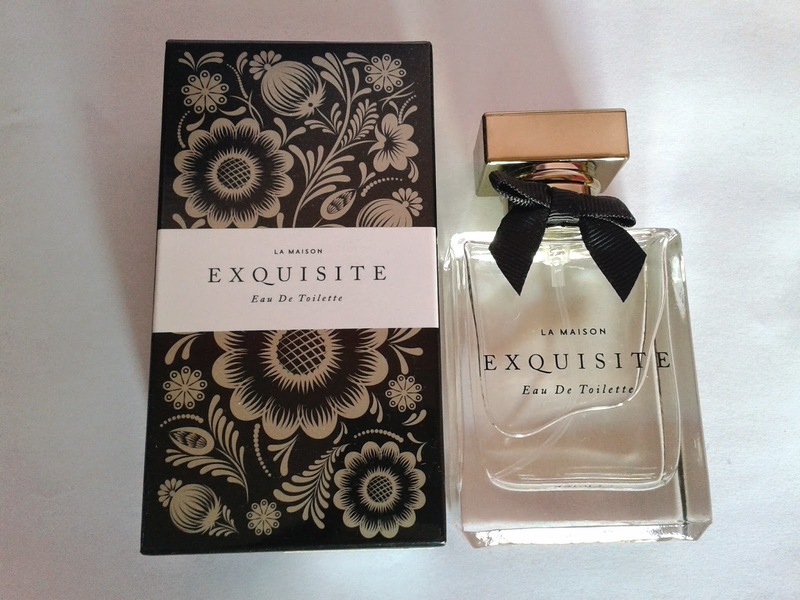 Exquisite is my absolute favourite of the two, and the one I have decided to give away. It is described as 'An opulent and voluptuous fragrance to evoke the precious woman in you. Top notes of exotic fruits rest on a warm heart of delicate blossom, night jasmine and summer rose with soft accents of vanilla, musk and brown sugar. A classic fragrance with a chic floriental twist'. 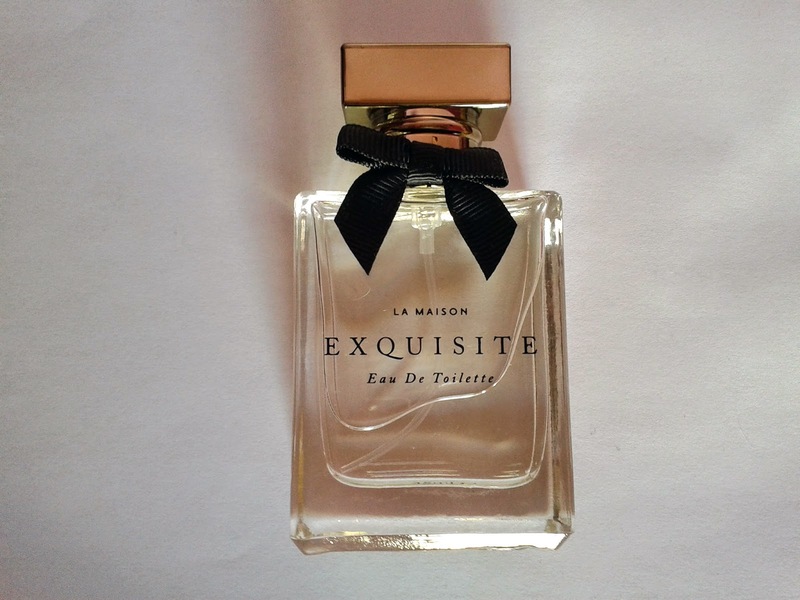 I love the fragrance, it is sweet and feminine and as it is slightly heavier than Guilty Secret it is perfect for evenings and special occasions, although it is nice for daytime as well. I feel that this scent is longer lasting than Guilty Secret.